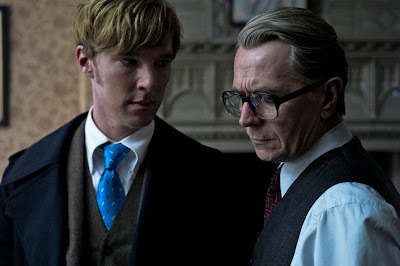 Existential Ennui: Tinker Tailor Soldier Spy Movie Competition: The Two Winners! Tinker Tailor Soldier Spy Movie Competition: The Two Winners! The Honourable Schoolboy and Smiley's People. You two will both be receiving a Tinker Tailor Soldier Spy Movie Tie-in Book, T-shirt, Voice Recorder Pen and Post-it Note Cube, courtesy of the fine folk at Focus Features. Congratulations to you both! And for anyone in the States who hasn't yet seen the film, it's still on general release, and you can read my review of it right here. Wow, I can't remember the last time I won something. Thanks, EE! Congrats to the winners. I seem to have a knack for winning things, so I guess it's time someone else had a chance! Glad you're not too disappointed, Kelly. And Jon Paul: you're welcome!